Do you recall this scene? After a soldier was accused of murder using a drone that killed Afghan civilians, Alicia Florrick and Will Gardner found themselves in front of a familiar—and very stern—military judge. Colonel Leora Kuhn: "As I entered court, you saw fit to say something to your co-counsel. What were you saying, Mr. Gardner? I would like to get it on the record." Will Gardner: "Apologies, your honor. 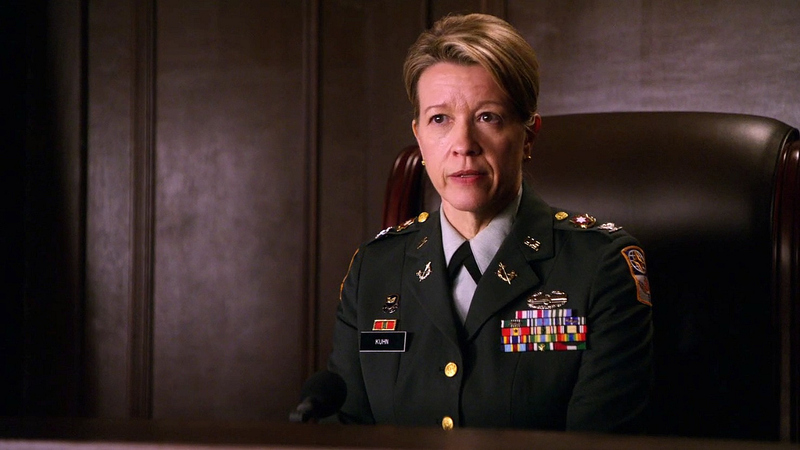 I was commenting, ‘Are there any other judges in the military?’"
Colonel Leora Kuhn: "Good. To answer your question, yes, there are. And yet, here I am again. Happy days."